Whether and to what extent cannabis use causes structural effects in the brains of users remains controversial, with some neuroimaging findings supporting effects on the size and connectivity of specific subcortical and cortical structures in users and other studies finding few or no differences. 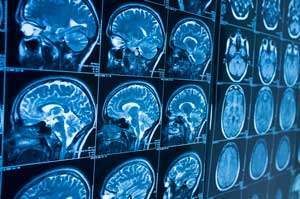 A new study by researchers at Washington University in St. Louis and elsewhere and partly funded by NIDA—the largest study to date examining cannabis exposure in relation to brain volume—used neuroimaging data from a sample of twins and siblings (483 participants total) to examine this question. Among all participants, having ever used cannabis was associated with smaller (but still within normal range) volumes of the left amygdala and right ventral striatum. (The latter was a novel finding in this study.) However, when sibling/twin pairs who were discordant for cannabis use were compared, no significant differences were found between the cannabis users and non-cannabis users, indicating that those volumetric differences could be attributed to shared genetic or environmental factors but were not caused by cannabis use. These results highlight the need for further research on the factors predisposing to cannabis use and to possible volumetric effects from different levels of cannabis exposure. The authors note that the study was unable to examine differences in amount of lifetime cannabis exposure, making it impossible to rule out brain volumetric changes as a result of high exposure specifically. Pagliaccio D, Barch DM, Bogdan R, Wood PK, Lynskey MT, Heath AC, Agrawal A. Shared Predisposition in the Association Between Cannabis Use and Subcortical Brain Structure. JAMA Psychiatry. 2015 Aug 26. [Epub ahead of print] PubMed PMID:.